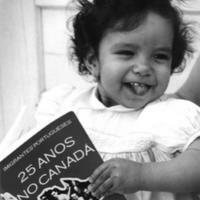 The History that portuguese wrote in Canada." 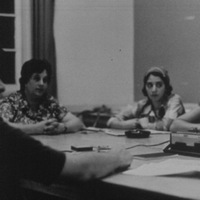 Domingos Marques, Valter Lopes, and JoÃ£o Medeiros sitting at a Comunidade round table discussion on the education of Portuguese children in elementary schools. 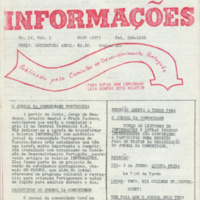 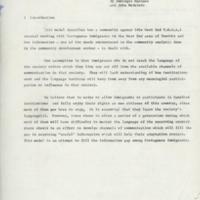 Report written by Domingos Marques and John Medeiros assessing the achievements and challenges of the newspaper Comunidade over the years. 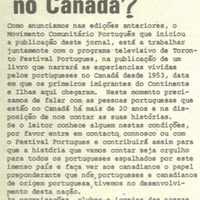 Book sale "Portuguese Immigrants. 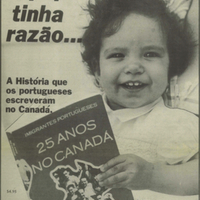 25 Years in Canada"
Image of a display of the book "Portuguese Immigrants. 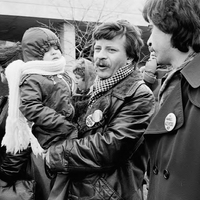 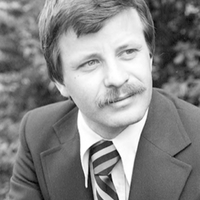 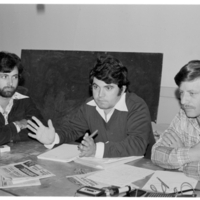 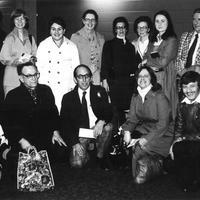 25 Years in Canada" (1980) with authors Domingos Marques (on left) and John Medeiros (on right). 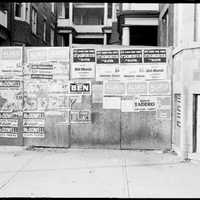 Political posters on College St. 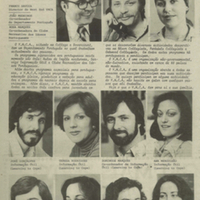 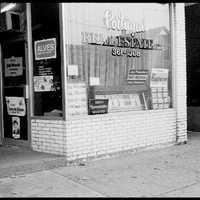 Image of Portugal Real Estate storefront featuring political signs for Art Eggleton, Joe Pantalone, John Medeiros, Bill Moniz, Joe Pimentel and Manuel Garcia, and Manuel Alves, for the Toronto Municipal elections of 1978.